In Max Lucado’s book When God Whispers Your Name, Steve Halliday, who prepared the book’s study guide, asks “What mentors have you chosen?” (215). As I considered this question recently, I realized that several of my mentors are characters from stories who impacted me on a deep level. At first I pushed this thought aside as irrelevant or irreverent, but the more I considered it, the more I realized my initial response was a genuine one. Stories have been a significant part of my life for as long as I can remember, and the power of a good story is such that it can be life-impacting. Once I acknowledged that my response was legitimate and not just reflex or snark (because I am never snarky! ), I wondered which story characters were the most influential in developing my personality. 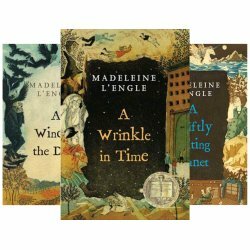 The first answer was obvious: Meg Murry from A Wrinkle in Time, by Madeline L’Engle. When I first discovered this book, Meg was so much like me that I instantly related: thick glasses, mousey brown hair, introspective, socially awkward, and desperately missing an absent father. From Meg I learned to be loyal to family, to fight for what you love, to hold on to hope even in the darkest of situations, and to shun the dark and dwell in the light. 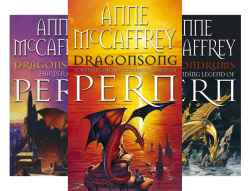 My second answer also came quickly: Menolly from Dragonsong, book one in the Harper Hall of Pern series by Anne McCaffery. I did not identify with Menolly as deeply as I did with Meg, but there was so much about her life that I was drawn to. She loved music as much as I did, and she had pet dragons! From Menolly I learned to honor family, no matter how rough the relationships might be, to honor where I came from, to work hard without complaining, and to pursue my dreams no matter how unattainable they might seem. I also learned that a polite, pleasant personality can take you far and can open many doors. 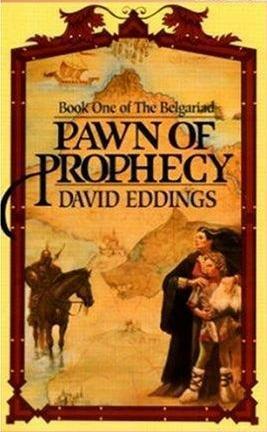 My third story mentor was not as obvious, but by this point in the exercise I knew I was playing with a blog idea, so I decided to wash dishes and do some deep thinking It didn’t take long for me to remember Polgara, from The Belgariad and The Mallorean series by David Eddings. There is so much about Polgara that I’m drawn to. She seems gruff but loves deeply. Her acerbic wit can lacerate any opponent, but her heart is tender and filled with compassion. She takes no nonsense from anyone, she is a great judge of character, and she is practical and wise. She never plays the victim of her circumstances, and she never moaned, “Why me?”. She tackled every challenge head-on, learning from the rare ones she could not overcome, and was known as a woman of wisdom and grace. She may be off-putting to some, but so much about her shaped me during my high school years, when I was beginning to define the kind of woman I wanted to be. So there you have the top three characters who influenced my life. I’d love to hear if you had the same kind of experience. Let me know who your top three fantasy role models are in the comments. Thanks for sharing these, Lauricia! They sound like great books and great role models! Some of my fantasy role models are Ella from Ella Enchanted because she has a great sense of humor despite being under a curse and Ani from The Goose Girl by Shannon Hale because I could really relate to her but she was strong and resilient. Great post! Jane Austen's characters, particularly Lizzie Bennett, Anne Elliot, and Eleanor Dashwood, encourage me to be polite and strong even when people and situations are tough. I"m not familiar with Anne or Eleanor, but Lizzie rocks! I love this idea! Books are life changing, so absolutely characters can be life impacting. Characters who've influenced me? I love Arwen from LOtR (her quiet confidence), and Belle from Beauty and the Beast (seeks adventure and doesn't care what people think).